Rakes feature AR400 steel tines with a curved design for minimum ground resistance and long life. The tines are welded to a heavy wall steel tube for years of reliable use. 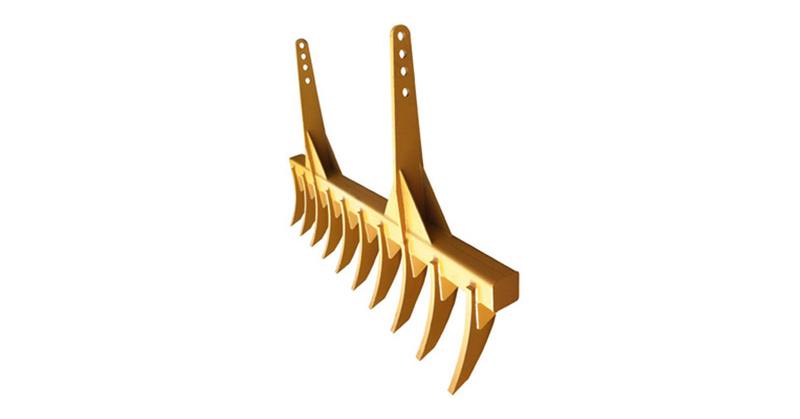 The rake mounts to standard moldboards by (2) welded brackets and (2) quick removal pins for ease of installation and removal on the jobsite.